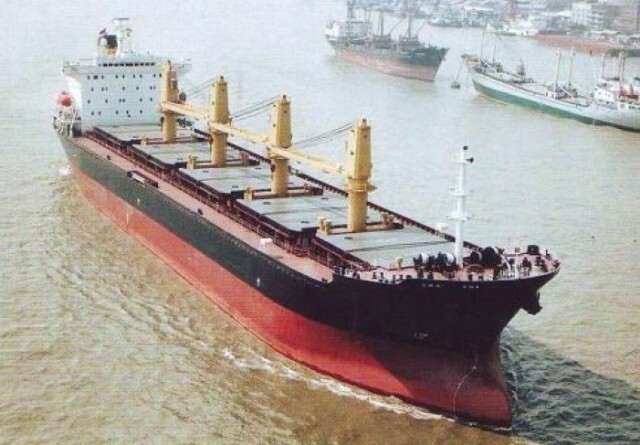 On March 1, the 96 meter long bulk carrier Bao Jiang 88 capsized and sank on the Yangze River near Shanghai, China. The Bao Jiang 88 was en route to Nanjing with 4600 tons of iron ore from Ningbo when it suffered a cargo shift. The Bao Jiang 88 quickly developed a list and the 12 crew to abandon ship into a liferaft. The vessel capsized a few minutes later. All 12 crew were later rescued by the Chinese Coast Guard. Authorities state the sunken bulker represents a navigational hazard. Reports say the cause of the capsizing was due to improper trimming of cargo.